Smart grids are set to take Southeast Asia by storm. According to a 2018 report by Telcoms and Computing Market Reports, the smart grid market in the region has continually grown and demonstrated significant benefits to consumers and large-scale vendors. The increasing number of people gaining access to electricity in member states of the Association of Southeast Asian Nations (ASEAN) has prompted respective governments to look into smart grids deployment. A 2016 report released by Northeast Group projected that the region is set to invest US$24.6 billion in smart grid infrastructure between 2016 and 2026. So far, countries like Singapore and Malaysia have been making considerable progress in developing smart grids. Slowly, Southeast Asia is closing the market gap between the region and more developed countries. Age old electrical grids that have powered households and commercial districts since the dawn of electrification are mostly inefficient and are unable to respond urgently to the electrical demands of today. This has prompted a transition towards a more efficient and environmentally friendly energy system. Smart grids have been a key enabler of this shift. 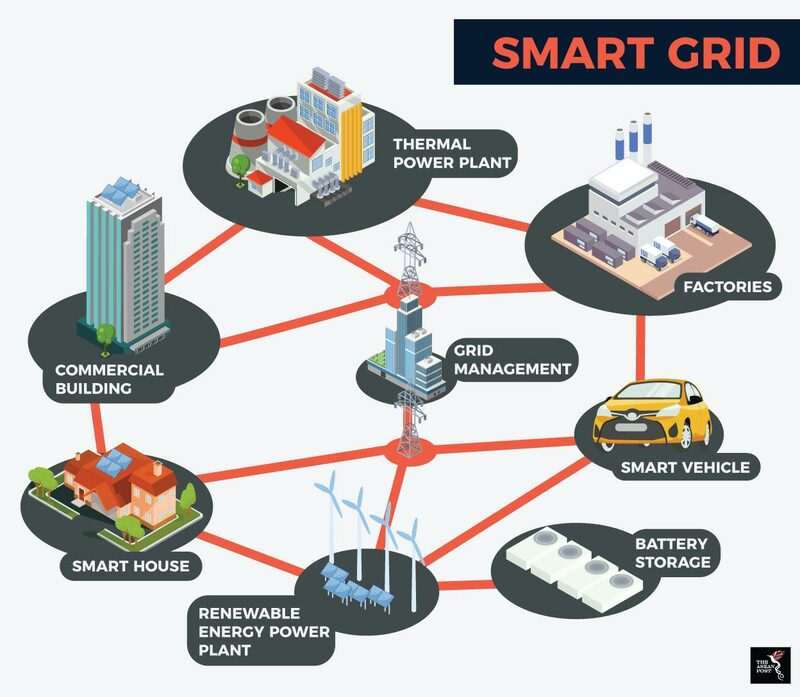 A smart grid is an electrical grid that intelligently controls various aspects of electricity delivery in an efficient manner from source to end user. This is achieved via smart meters, sensors and renewable sources of energy which help ensure proper electricity resource management. A regular electrical grid provides electricity to the end user which is then billed to the consumer who then pays the amount at the end of a stipulated period of time. Smart grids however, have sensors that detect and send information about electricity usage back to the utility provider and the consumer. This information can then be used to monitor electricity usage and improve efficient use of electricity. For example, with electricity usage information, a utility provider would be able to better allocate electricity resources accordingly depending on demand patterns throughout the day. Sometimes, with the use of sensors and networked computers, this can be done automatically. Besides that, through net metering and feed-in tariff programs, commercial and residential users that have rooftop solar panels or home wind turbines can feed surplus electricity back to the electricity grid. This not only significantly reduces electricity costs but also reduces dependency on traditional fossil fuel powered power plants. Southeast Asian countries leading the smart grid pack are primarily Singapore and Malaysia. Singapore is one of the leading players in smart grid technologies in the world since the launch of its Intelligent Energy System (IES) project – a two-phase smart grid pilot project, comprising of an upgraded automated electricity delivery system with digital remote control. In 2016, the state’s utility provider, Singapore Power inked a deal worth US$7.4 million with American multilateral conglomerate 3M on grid sensing and data analytics. Singapore has also partnered with General Electric (GE) on digitalising its substations. Malaysian state power producer, Tenaga Nasional Berhad (TNB) has begun work on a Grid of the Future which introduces automation and smart solutions with lower grid costs. Under the initiative, smart grids have been introduced which would reduce blackout hours and give consumers more control over their energy bill. The Advance Metering Infrastructure (AMI) will be one of the value delivery methods to the end user. Consumers would gain access to real time data of their electricity consumption, enabling them to take measures to ensure a more efficient use of electricity, thus saving costs in the long run. Countries like Vietnam, Thailand, Brunei, Indonesia and the Philippines have all taken steps in the right direction towards implementing smart grids in their respective nations. Thailand has earmarked US$5.6 billion for smart grid projects through 2036. Brunei has been looking to reduce dependence on fossil fuels and is also shifting its focus to smart grid technology. Recently, Vietnam inked a partnership with South Korea on renewable energy and smart grid development. Philippine power distributor, Manila Electric Co. (Meralco) has begun a shift to the AMI – having filed an application with the state energy regulation authority for the deployment of basic AMI services. Similarly, Indonesia is also eyeing a revamp of its old electricity infrastructure and adopting smart grids to prevent power outages. Smart grids, being key components of smart cities also pave the way towards realising the vision for a network of smart cities throughout the region. The ASEAN Smart Cities Network (ASCN) is an effort that works to complement the individual developments of national level smart city projects and harmonise such efforts at a regional level. Electricity is undoubtedly an important factor that keeps the wheels of a nation moving. As Southeast Asian countries embrace future technologies, their respective power generation sectors have to be future-proofed as well – and smart grids are the way forward towards achieving that.